Dr. Petley practices naturopathic medicine and has office hours by appointment only in the historic Old Post Office in the heart of Downtown Waterville, Maine. 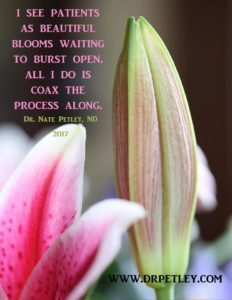 Whether you are looking to address an acute cold, chronic disease or yearly checkup, Dr. Petley will use his expertise in naturopathic medicine as he works with you to create a healthier you ~ naturally! To learn more about naturopathic medicine, click here. To make an appointment, email [email protected] or call (207) 616-0049. Dr. Petley is now offering a 3-year herb apprenticeship in Waterville, Maine. The program is suitable for those looking to gain a deeper respect for the power of herbs, those aspiring to become a practicing herbalist, those working in the health care field who would like to expand their knowledge of botanical medicine, and those looking to start an herbal product business. 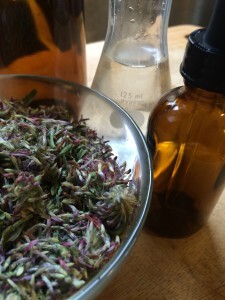 Dr. Petley’s Herb Apprenticeship is divided into three years each lasting 10 months: Essential Herbalism, Applied Herbalism, and Clinical Herbalism. To learn herbalism, one must follow the path of being an apprentice where the experienced practitioner passes information down to the student. Dr. Petley takes the naturopathic philosophy of doctor as teacher seriously in his clinic and classroom because it is through hands-on workshops that people fully experience all that herbalism has to offer. Dr. Petley lectures on both naturopathic and botanical medicine and his classes can be found here. The education of his students ranges from beginner to advanced herbal levels, including medical professionals for continuing education credits. Through this site you can purchase herbal products, tools of the trade, register for classes, and purchase instant downloads. Items in the store frequently change so be sure to check back for new and exciting offers! Some items are unique and only available in limited quantity. Dr. Petley periodically records lectures or snippets of lectures to make available online (click the links below). He also posts videos announcing various classes and his herb apprenticeship program. Many of these are also available on Facebook. Stay tuned for additions!